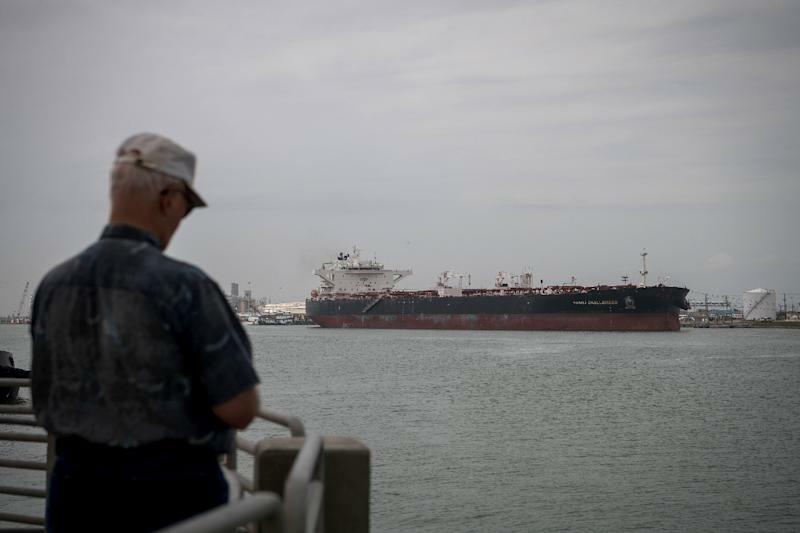 Corpus Christi (United States) (AFP) - The port of Corpus Christi in Texas is pulling out all the stops to capitalize on America's soaring energy export ambitions: giant new oil pipelines, terminal expansions and dredging -- but at risk of environmental damage. Exports through the port, which ships out more crude than virtually any other in the United States, could surpass 2.7 million barrels per day (bpd) once the work is done, up from the current 700,000 barrels. "The United States is experiencing an energy renaissance not seen in nearly 70 years," said Sean Strawbridge, the port's chief executive. "That volume has to find an outlet somewhere. If we don't do it someone else will do it." Energy is by far the port's biggest business. 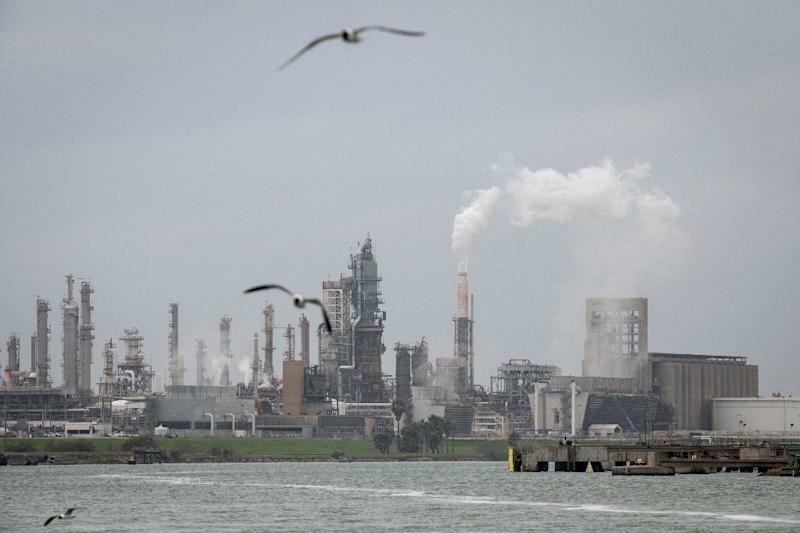 Far from the stereotypical images of stacked modular containers and gantry cranes, Corpus Christi is dominated by fat pipes, belching refineries and giant liquid tanks towering over passageways inside what is the fourth-largest US port by volume. Named Epic, Cactus and Gray Oak will be operational by the end of this year, adding a transport capacity of 2 million bpd. The three massive conduits will link the port to two main US shale oil deposits: Eagle Ford and the Permian Basin, which straddles the New Mexico-Texas border. 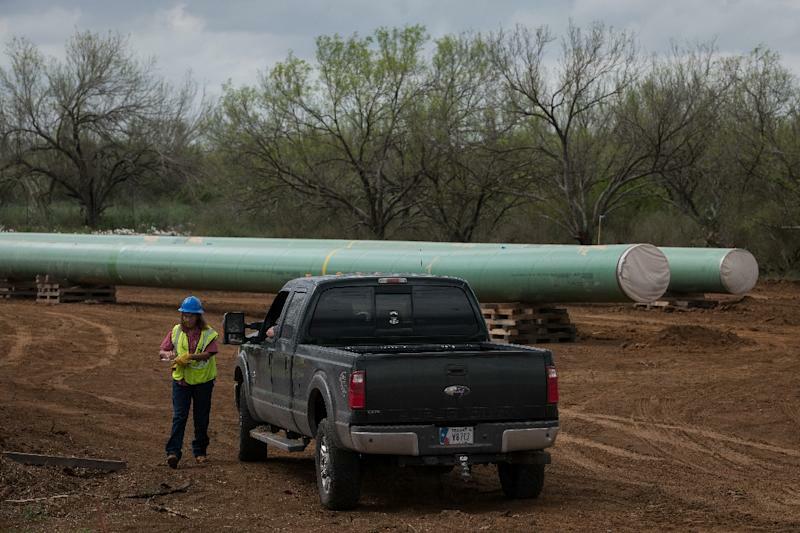 The three pipelines will help solve the basin's congestion problems, which have forced producers to resort to far costlier crude shipments by road and rail. At that depth, "Very Large Crude Carrier," or VLCC, shipping vessels will be able to fill up more quickly -- and at a lower cost. Longer than soccer fields, these ships can carry up to 2 million barrels, or about $120 million in crude oil, based on the current benchmark WTI price. "The name of the game is trying to put more oil in one vessel," said Khalid Muslih, executive vice president of global marine terminals at Buckeye GP. The company is building two terminals in Corpus Christi and will expand the port's liquid storage capacity. At 12 million bpd and given the stagnant domestic consumption, US daily exports frequently surpass three million barrels. Rising exports also would help bring down the record US trade deficit. But what some see as an historic opportunity, others describe as impending environmental doom. At the mouth of the bay, at the coastal town of Port Aransas, which lies along the path of the dredging, is an estuary transited by a wide array of marine life such as crabs and shrimp. "If you change the depth, it disrupts the whole cycle," said Dan Pecore of the Port Aransas Conservancy. A former oil worker who later switched to boat building, Pecore fears the "slow death" of fishing and surfing while the port itself hopes one day to dredge down as far as 75 feet (23 meters). The conservancy does not deny the economic value of developing the port, given the 76,000 jobs it currently supports. But it recommends using offshore structures to allow supertankers to load without damaging the coast. Port Aransas supports the plan, but the Port of Corpus Christi does not, as that could cut into its revenues from ship traffic. Pecore said enthusiasm for development in the energy sector is a sign of the times under President Donald Trump, who has shown far less concern for the environment than his predecessors, scrapping oil industry regulations. Trump said in October the dredging would make "a tremendous difference. It will sell a lot more oil." Pecore says this shows the advantages the port enjoys in the current political climate. "There can't be a better relationship between Trump and the port."